As you know we’ve been we’ve been working on direct response video formats for ad promotion for quite a while now, but we haven’t had a comprehensive solution for driving web conversions until now. I’m going to share some of our newest innovations that help you harness the combined power of search and YouTube together. I want to start off by just having everybody take a minute to think about the things that you bought last week and how you decided what to buy. If you’re like most people, 86% to be exact, then you know you turned to Google for help where we have the world’s information at our fingertips when we’re shopping. We can read reviews, we can search product details, and we can even watch videos to help us make the best decision possible. What that means is that even small everyday purchases like a toothbrush can kick off a big research project. Did you know that mobile searches for toothbrush reviews have more than doubled in the last two years? Whether it’s a car or toothbrush, we want to literally see things in action before we buy them. This is why people are increasingly turning to YouTube in addition to Search for help with their purchase decisions, and we can see this trend in YouTube search data. Over the last two years, review videos on YouTube have had over 50,000 years worth of watch time on mobile alone. That’s over 438 million hours! It’s not a hard jump to go from review to purchase. We’ve seen 100 percent increase in online conversions coming from YouTube ads globally over the last 12 months. That’s showing that consumers are coming to YouTube not only to research but to take action. Remarketing lists on search used to be the only way that you could re-engage users who did not immediately convert with custom intent audiences. You now have a second chance at winning them over using the most persuasive tool in the world… video. Custom Intent Audiences allow brands to reach people who searched for relevant keywords on Google. All you have to do is create a keyword list, or you could just repurpose the keyword lists that you’re already using on your search campaigns. Purple, the online mattress retailer, used Custom Intent Audiences to sell mattress protectors. Targeting YouTube viewers who had recently searched for queen bed sheets, they were able to lower the cost per visit by over 30 percent and they saw a 3x increase in the number of people searching for Purple on Google. 2. TrueView for Action – Make it Easy to Take Action! Once you have found the people with the strongest intent, the next step is to make it really easy for them to take action. TrueView for Action is YouTube’s new format optimized to do exactly that. You can use it to drive whatever action is most important to your business, like clicks to your website or new signups. It’s most powerful if you combine it with Custom Intent Audiences, that way you can reach people who are just on the brink of making that purchase decision. TrueView for Action campaigns use target CPA bidding to automatically optimize bids using Google’s advanced machine learning technology. Simply put, you can now bid and buy for your video campaigns just like you do on search today. This suite of features makes YouTube more actionable and early adopter brands are seeing it in the KPIs that matter most to them. 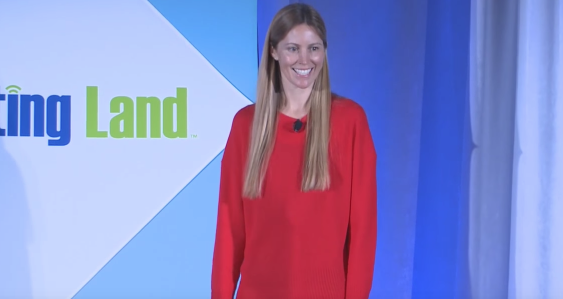 Whether it’s the investment startup, Betterment, who increased their return on ad spend by 6x or the online education platform Masterclass, who grew class signups by over 140 percent, or travel giant Kayak, who reduced their CPA by 80 percent, brands around the world are using YouTube to drive meaningful and efficient business results. Are You Still Underestimating How the Internet Can Change Your Life?